Which version of the Kinect is compatible with Fastmocap? The Mac version of Fastmocap is compatible with the Kinect for Xbox 360 and with the Primesense sensors like the Asus Xtion. The Windows version of Fastmocap is compatible with the Kinect for Windows, Kinect for Xbox 360 and the Primesense sensors like the Asus Xtion. It is however important to note that the Kinect Sensors that come bundled with the new Xbox 360 consoles do not come with a power supply and a USB adapter, which you need in order to connect the Kinect to your computer. Mac OS X 10.11 El Capitan has a new security feature that prevents Fastmocap from installing correctly. In order to get Fastmocap to work on OS X El Capitan, you need to momentarily disable the "System Integrity Protection". 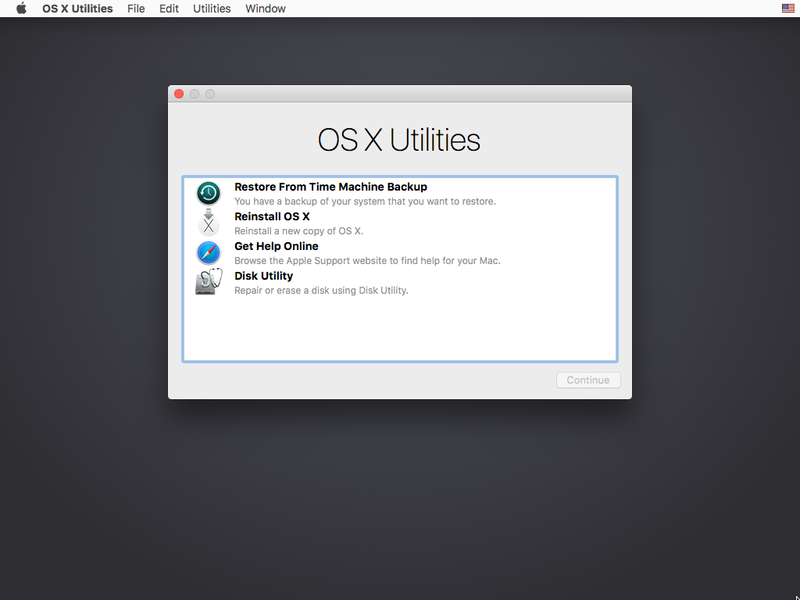 Restart your Mac while holding CMD + R keys. This will take you to the Recovery OS. Click on "Utilities" then on "Terminal". Restart your Mac then install Fastmocap again. Is the hardware price included in Fastmocap's price? No. The price includes the software only. The Kinect Sensor is to be purchased separately. You can get your Kinect sensor here. Where can I buy Fastmocap? What is the difference between the Basic edition and the Professional edition? Yes. As soon as you click the record button, your body animations are tracked in 3D and saved in memory for further editing. Which body joints does Fastmocap track? Fastmocap tracks ten body joints. The waist, the left and right hips, the left and right knees, the left and right shoulders, the left and right elbows and the torso. Currently, for some security reasons, we still do not provide a trial version. You can ask for support via email or on the support page. The support details will be given to you with your purchase.